Peter N. Silvestri, 48, was elected to the Cook County Board of Commissioners on November 8, 1994 and is currently serving his third term. Silvestri has supported conservative spending and controlled tax policies and actions. He has consistently opposed new taxes, stressing a need to reform practices before imposing additional taxation. Silvestri supports greater access to public health, expansion of forest preserves, especially in Chicago and nearby suburbs, and greater cooperation between local and county governments. Silvestri has been recognized by the Cook County Police Memorial Foundation for his work toward building a monument to fallen police officers from throughout the county. 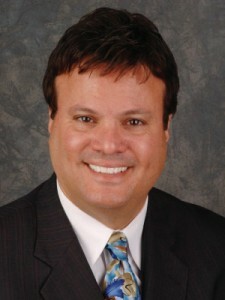 Silvestri serves as Chairman of the Zoning and Building Committee and Litigation Subcommittee. He serves a Vice-Chairman of more committees than any other Commissioner, serving on the Contract Compliance, Environmental Control, Provident Hospital, Stroger Hospital, Human Relations, Law Enforcement, Legislation and Intergovernmental Affairs, Building and Forest Preserve Real Estate Committees. He is member of the Construction, Finance, Public Health, Health and Hospitals, Family Court, Roads and Bridges, Rules, Land Management, Forest Preserve Annexation and Brookfield Zoo Committees. Silvestri was elected to the newly created Ninth District, which includes the far northwest side of the City of Chicago, the city of Park Ridge, the Villages of River Forest, Elmwood Park, River Grove, Rosemont, Norridge, Harwood Heights and portions of Oak Park, Melrose Park, Niles, Morton Grove, Schiller Park and unincorporated Norwood Park and Main Townships. Peter N. Silvestri is President of the Village of Elmwood Park, serving since May 1, 1989. During his terms, Silvestri has stressed a progressive agenda with a conservative spending and tax policy. The Village has experienced record high property values, record low crime rates, economic development, new parks, increased recreation, a new pool, public safety center and library. Other past service includes being a former Village Trustee, Member and President of the Elmwood Park Board of Education, Elmwood Park Zoning Board, Elmwood Park Civic Foundation, Norwood Park Senior Home Board of Directors, Chairman of the St. Vincent Ferrer Religious Education Advisory Board, and past President of the West Central Municipal Conference and Leyden Norwood Park Municipal League. He currently serves as a member of the Metropolitan Mayors Caucus, and association of 128 communities. A graduate of De Paul University and its Law School, Silvestri is a licensed attorney. Silvestri states that his most rewarding role is that of father to his son Christian, 11 years old. The Silvestri’s are members of St. Vincent Ferrer Parish in River Forest.